A: Present your card when you purchase qualifying items inside the store and the corresponding Cents-off-per-gallon will be automatically posted to your account. Each qualifying item has its own reward. 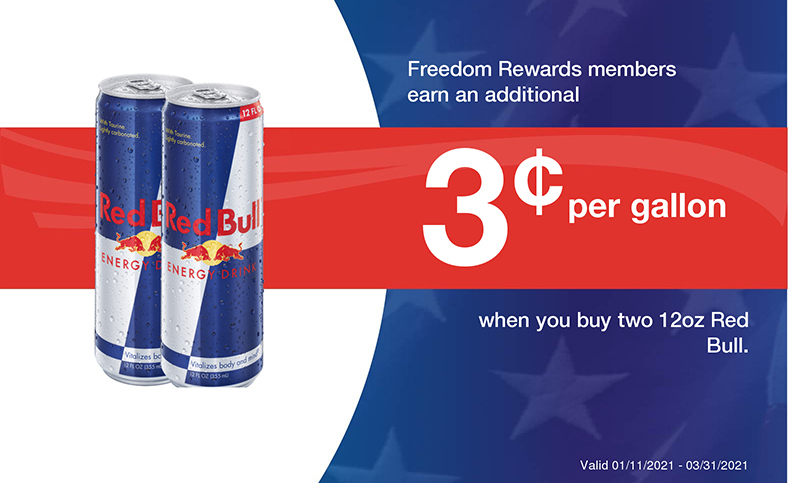 The minimum reward is one cent-per-gallon. Certain items may be excluded by law. A: No. There is no limit to the dollar amount you can earn with your rewards card. Q: How do I keep track of my balance? A: That's easy. Just log on to takinittothepump.com and enter your member number to access your account balance information. A: As long as your card is registered, we can determine if there is a balance to transfer it over to a new card. Q: How do I use my card? A: When you join our rewards program, you will receive a rewards card. When you make a purchase to earn your rewards, use the magnetic strip card to redeem your rewards each time you purchase fuel. Helpful Hint: Some people keep their rewards card in their vehicle so that it is always available when they fill up. Q: Are all fuel grades included? A: Yes. 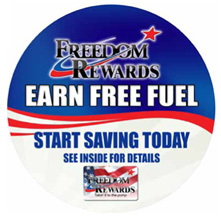 With your rewards card all grades of gasoline are eligible for earned, cents-off-per-gallon rewards. Q: How long are my rewards good for? A: Your rewards are good for 30 days from the date you earn them. They must be redeemed during that 30-day period. Helpful Hint: Most people redeem their rewards every time they fill up so that they will never lose rewards due to expiration. Q: Is there a limit on the number of gallons I can purchase using rewards? A: Yes. The limit is 20 gallons.